According to the author Garrett Hardin, there is “No Global Population Problem,” UCSB. The Humanist, July/August 1989. Reasoning by analogy, some optimists in the Twentieth Century have argued for a laissez-faire approach toward population growth. They postulate a “demographic transition” process that automatically stops population growth before it hurts. Since European fertility fell as the Europeans became richer, it was argued that all we need to do to help today’s poor countries is to try to make them rich. The past half century has shown that a laissez-faire approach toward population growth fails. The needy poor greatly outnumber the charitable rich, and the poor breed faster. Africa’s numbers are increasing more than ten times as fast as Europe’s…. Lastly, someone cries, “But the population problem is a global problem. We need global solutions!” Before panicking, let us look at the word global. Some problems are certainly global. Take acid rain. Take the green house effect. Both cases involve the atmosphere, which is forever distributed and redistributed over the entire globe. Now, let’s look at the potholes in the streets. There are potholes all over the civilized world, but is that any reason for setting up a global pothole authority to fix our potholes? …. The moral is surely obvious: never globalize a problem if it can possibly be solved locally. … We will make no progress with population problems, which are a root cause of both hunger and poverty, until we deglobalize them. Populations, like potholes, are produced locally…. While I do appreciate Garrett Hardin’s perspective regarding “no global population problem,” perhaps there is another equally acceptable and naturally persuasive way of looking at the problem. Rather than comparing global human population numbers with the number of potholes on Earth, let us step back for just a moment and change our scope of observation. By so doing we would be choosing to look out of our eyeballs, but not at human numbers as if they are analogous to potholes…. not as molecules in a wave or trees in a forest. By changing the scope of observation we would be looking at the human population, writ large, from a species-wide perspective. Choosing a scope of observation is like deciding to look at either the forest or the individual trees, at either the wave or the molecules of the wave. Perhaps the challenge before us is a species overpopulation problem that is not related to reproduction numbers or declining total fertility rates, even in many places. Notwithstanding reproduction numbers and lowered total fertility rates in a multitude of locations, absolute global human population numbers can still be seen skyrocketing. The human population wave can be perceived getting larger and coming closer to shore. Because we can choose to look at human population growth as a “ubiquitous local problem” (hat tip to Rob Harding), it becomes necessary for us to imagine a gigantic wave that is moving toward the all the continents simultaneously and coming ashore in much the same way we can imagine a rising tide lifting ships worldwide. Imagine that we are looking at a huge ocean wave, watching it move toward us on the shore. Think of a tsunami. The wave is moving toward us; however, at the same time, there are many molecules in the wave that are moving in the opposite direction, out to sea. If we observe that the propagation of human population numbers worldwide is like the wave, and reproduction numbers and total fertility rates are like the molecules, it is inaccurate for the latter to be looked at as if it tells us something meaningful about the former because the molecular data are the ‘human molecules’ that move naturally back out to sea, against the ‘wave of humanity’ which is growing rapidly before our eyes. The wave moves toward those of us on the shore who are observing its enlarging size as well as its acceleration in our direction. Continue looking at the tsunami. 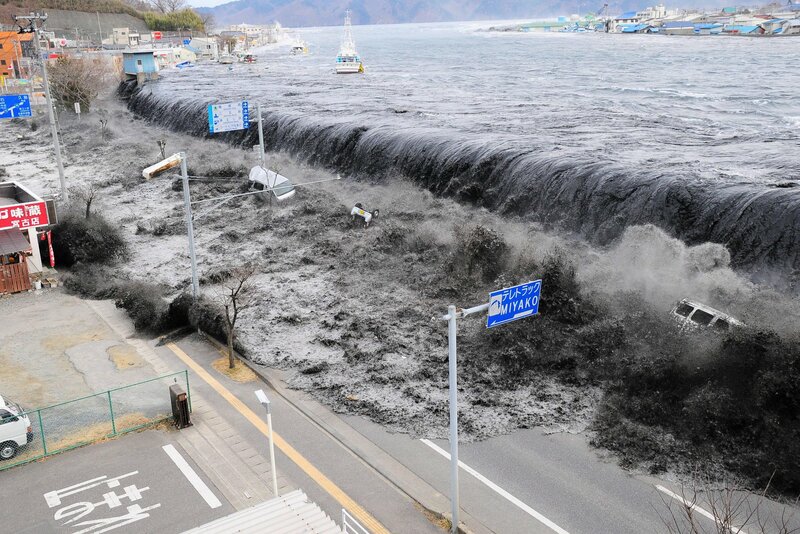 Even though we cannot see what is occurring around the world we can imagine a tsunami that it is crossing the shoreline of all continents simultaneously. Of course we are considering an unprecedented occurrence unlike any situation human beings have ever encountered. The giant wave is moving inexorably toward all of us; however, at the same time, there are many molecules in the wave that are moving in the opposite direction, against the tide. If we observe that the data derived from the propagation of the human species worldwide is like the wave, and the reproduction numbers and total fertility rates are like data related to the molecules, is it not a direct contradiction for the latter to be looked at as if it tells us something meaningful about the former because the ‘human molecules’ move out to sea and so go against the rising tide of humanity which is moving inexorably toward the continental shorelines? The molecular data and the wave data point in opposite directions. We have to do something about our increasingly dire global population problem. It is indirectly causing wild weather, climate change problems, resource deficits, starvation the sixth great extinction and other severe problems. So it must be addressed. It needs to be addressed NOW across the globe by whatever ways will work for local populations! If only we were not so clever, hubristic and greedy…. If only our most closely held beliefs about being human conformed more closely to our creaturely constitution and capabilities…. If only we would choose to acknowledge and accept human limits and earth’s limitations…. It is worth noting that the situation we are confronting appears unprecedented in human history, so there are no past experiences, no stories, no road maps, no cookbooks from which we can derive guidance. This novelty is a large part of what makes the existential situation so difficult to perceive, acknowledge, address and hopefully overcome. Where will we be 50/100/150 years from now? Public response continues to lag. Because continuing population expansion is taking place in tandem with the ecological breakdown, many tipping points, each with its own built-in momentum, will soon be coming upon us. The vast majority of humans on the planet will find themselves facing forces for which they are unprepared. Measured in terms of human suffering; reaching a New Age therefore will be far more painful than it was passing through the post Sumerian/Babylonian/Egyptian/Mesopotamian one. LOL, Africans are having so many babies because the evil white and the neo-evil Chinese man is looting his continent. What a loser. What happens when you introduce 29 reindeer to an isolated island of untouched resources? Sustainability comic about overpopulation, with cartoon reindeer.